The Soft Sayings All-Inclusive Card Kit is one of the several kits Stampin’ Up! offers to fit your crafting needs. 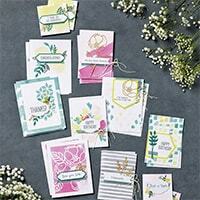 Make even more gorgeous cards with your Soft Sayings Card Kit Refill! * Use the stamp set and ink from the Soft Sayings Card Kit with this refill kit to create even more cards! 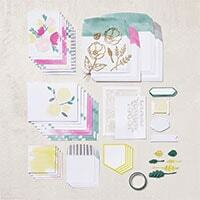 Join my stamping community – enjoy 20-25% discount and much more! Sign up for my Monthly Newsletter – filled with tips, tricks, inspiration and more!